Professional Speaking – Dazzle Your Meeting Attendees! Podcast Episode 50 – Is Marketing a “necessary evil”? Podcast Episode 49 – The Death of Email Marketing? Podcast Episode 41 – Why Podcast? 26 – What’s the SCORE? 2 – Are You Getting The Most Out Of Email Marketing? Want Ken to speak at your event or convention? 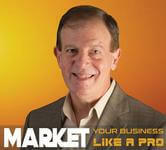 Here’s Episode 34 of the Market Your Business Like A Pro podcast!